Do kids actually use the Pinterest platform? Absolutely. Today’s episode is all about Pinterest for kids, and why it’s important for Pinterest marketers to understand just how they use it. 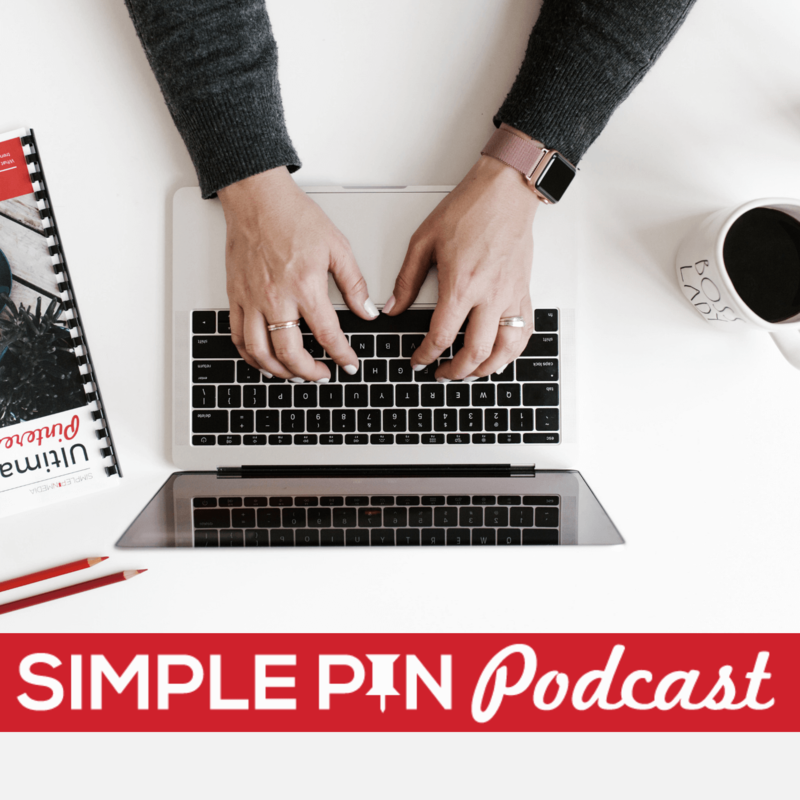 If you’re looking to really dive deep into Pinterest marketing, you’re going to want to go back and check out our top ten Simple Pin Podcast episodes for some great bing listening. That should keep you busy for a while. Today’s episode is going to be a little different because I’m actually interviewing my kids! The idea of having the kids on the podcast surfaced a few months ago when all three of my kids (ages 9, 11, and 13) accompanied me to the EBA Activate conference in Orlando. We took the kids so that we could all go to Disney World. While they were there, they had the opportunity to hear me speak for the first time. My oldest was really intrigued by the idea of public speaking and talking into a microphone. And so, this episode came into being! I have a ton of secret boards on my Pinterest business account. I use those for anything relating to home, kids or personal life. Sometimes my kids ask me about things over and over (like Halloween costumes), so I let them go crazy and pin however many pins they want to one of the secret boards. I also created a “Dream Trip Planning” board that they can pin to. It helps all of us pins ideas of places we’d like to go and the things we’d like to do at that destination. Pinterest is a great tool not just for women, but for entire families! You can create an organized collection of your whole family’s interests, ideas, and dreams on the platform. I’m excited to keep sharing more about that with you. I had so much fun doing this little mini-interview with my kids. I hope you enjoy it! First up is my youngest, and only son, Sam. He’s nine years old and his favorite activity is jumping on the trampoline. He couldn’t tell me what I do for my job (ha!) and originally said that he doesn’t use Pinterest because he’s “just a kid.” He then he remembered that he loves to research birthday cake ideas and send them to his Nana. His favorite birthday cake so far has been his Minecraft cake. My mom does a ton of Pinterest. When she was in Florida, she did a big Pinterest meeting and we were there. It was really fun. Mom did a great job speaking. I love my mom. Next up is my middle daughter. Eleven year-old Lily loves watching Youtube as well. She knew that I work with Pinterest and also that I’m a blogger. She uses Pinterest to find Halloween costume ideas or birthday cake ideas. She also uses it to search for science experiments (which she loves). Her favorite thing about Pinterest is how easy it is to find things you’re looking for. Besides Youtube, another new interest of hers is weaving (we’ll have to look for weaving ideas on Pinterest). Follow Kate. Tell all your friends. Maybe I need to hire her as a promoter?! My oldest daughter Eloise (who happens to be taller than me now) is 13. Eloise’s favorite activities are drawing and baking. She says I work on social media and Pinterest. Eloise uses Pinterest to curate drawing ideas and recipes, and for looking up costume ideas with her siblings. She loves looking at cake decorating ideas as well. Her dream in the future is to own her own cat cafe. She loves cats and Pinterest has really cute animal pictures which she loves. In this online world, Pinterest is a great platform because you don’t encounter a lot of noise from other sources. While I know that Pinterest isn’t always safe, I trust my kids to use the platform to inspire their creativity. As they can gather ideas, we teach them to be careful about what words they are searching. If you have kids or invest in kids, how can you use Pinterest to inspire them to take action on ideas or dream and plan?